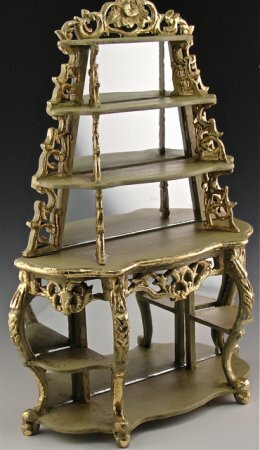 This lovely etagere can be placed anywhere in your home or palace ;D It is regal in my Old Versailles finish with gold accents. 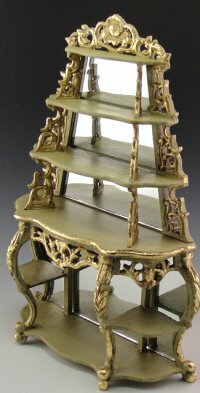 Great for all your fine collectables or to display your wares in an upscale shoppe. So Elegant! This one was sold, but I have more and you can choose the finish you want! !